The match card has several high profile games which can pave the way for big moments. There is a great potential of such situations as many of the matches involve big superstars of the WWE. The officials have done a good job in building and promoting the first ever SmackDown PPV. The main event of this Backlash is the WWE World Championship battle of Dean Ambrose defending it against AJ Styles. As of now, Styles is one of the best pro-wrestlers in the world. This would be an incredible match as both the wrestlers are capable of doing a fantastic job inside the ring. It should deliver the same as per the expectations. On Sunday night, the viewers and fans will witness the crowning of two champions. Recently, Daniel Bryan and Shane McMahon announced the SmackDown Women’s Championship and Tag Team Championships. The women’s title will go to who turns out to be the winner in the 6-pack elimination match today. Also, the tag titles will be given to the winners of the tournament finals. Moreover, Randy Orton has got a match against Bray Wyatt at Backlash 2016. Also, Dolph Ziggler will fight opposite to The Miz (the current Intercontinental Champion). 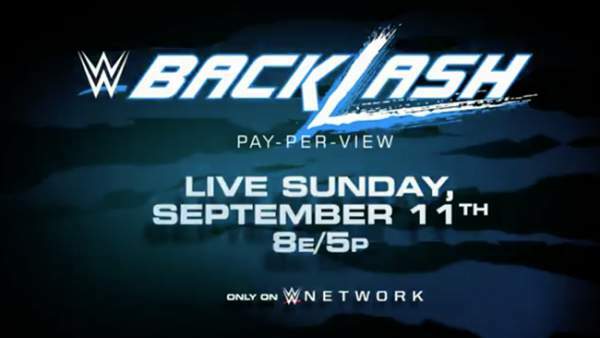 There is more stuff which you can’t afford to miss at WWE Backlash. It appears that WWE is employing a new strategy to begin a new beginning with this pay-per-view. Many significant changes can take place as a result of the PPV. Such events will set the future of the company. So, this PPV is crucial for them. It starts at 8 pm ET. Stay tuned for highlights and live match results.